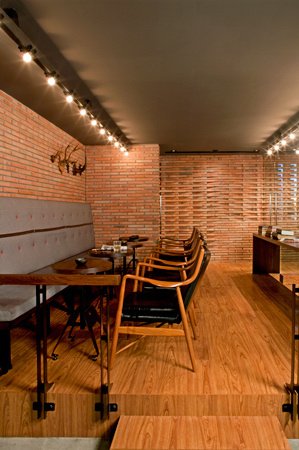 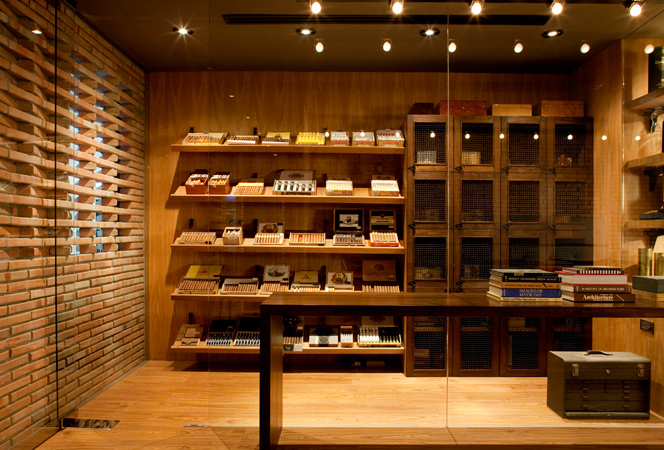 Dude Cigar Bar is located on Sukhumvit Road, in the heart of Bangkok. 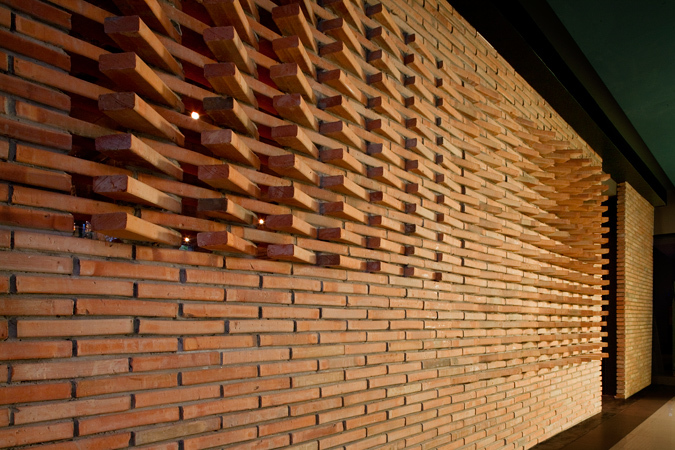 The red bricks– a material request by the owner– were carefully rotated at different angles to allow people walking by the shop to peek into the space from the outside. 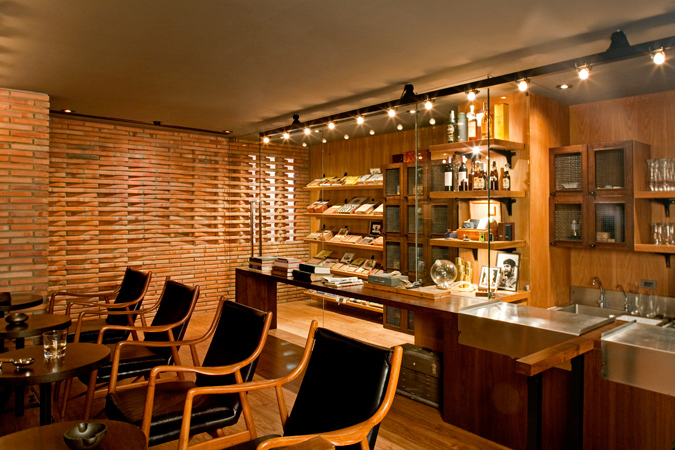 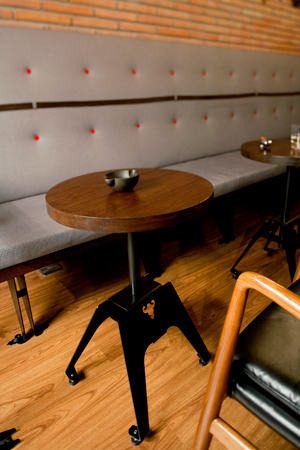 The material vocabulary is comprised of teak, brick, and sand-finish powder-coated steel to keep the space texturally rich.